Post Graduate Engineering Common Entrance Test (PGECET-2012) is conducted by University college of Engineering, Osmania University on behalf of A.P. 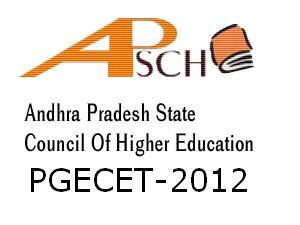 State Council Higher Education (APSCHE) for admission on to the PG Courses in Engineering, Technology, Architecture, Pharmacy and Planning commencing in the session 2012-13. The PGECET question paper contains multiple choice objective type test paper of 2 hours duration and carry a maximum of 120 marks. Candidates should be a Indian Nationality and belong to the State of Andhra Pradesh. Candidates should have a bachelor's degree in relevant discipline with 50% (45% for SC/ST) of marks from any recognized university. when will be the certificate verification for pgecet qualified candidates for pharmacy students.